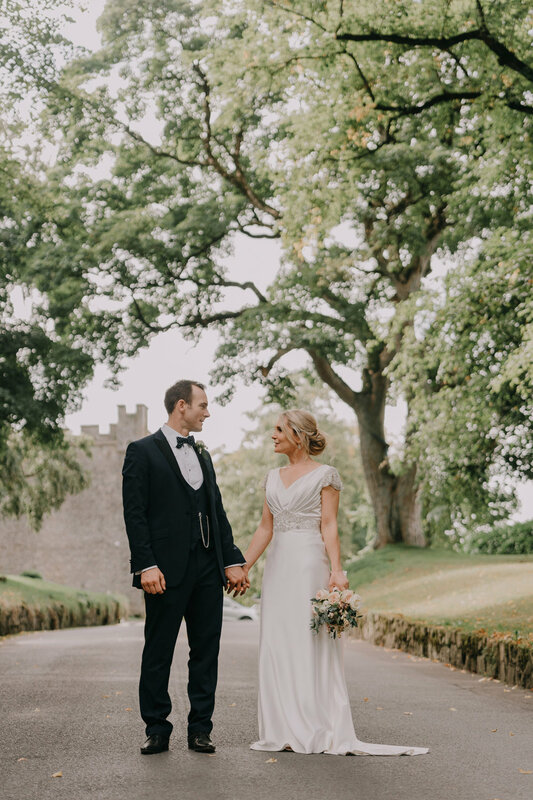 Eavanne & Daniel travelled all the way from New Zealand to celebrate their wedding in Castle Durrow, Ireland. 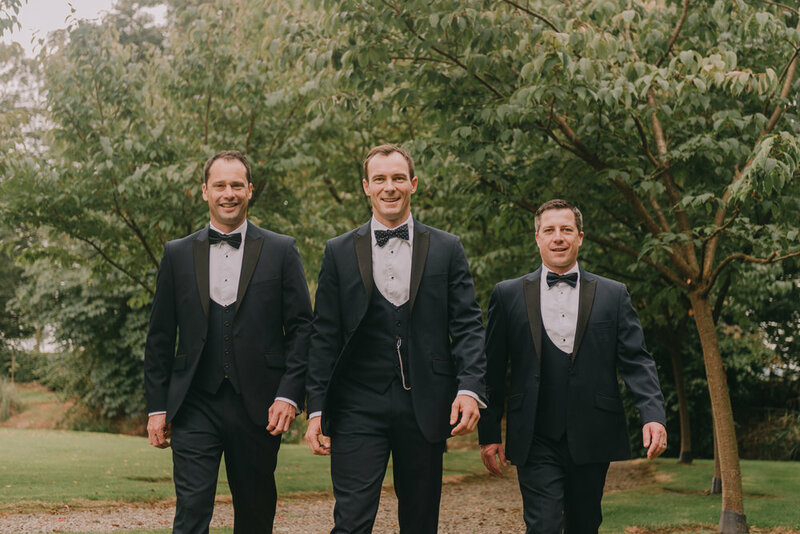 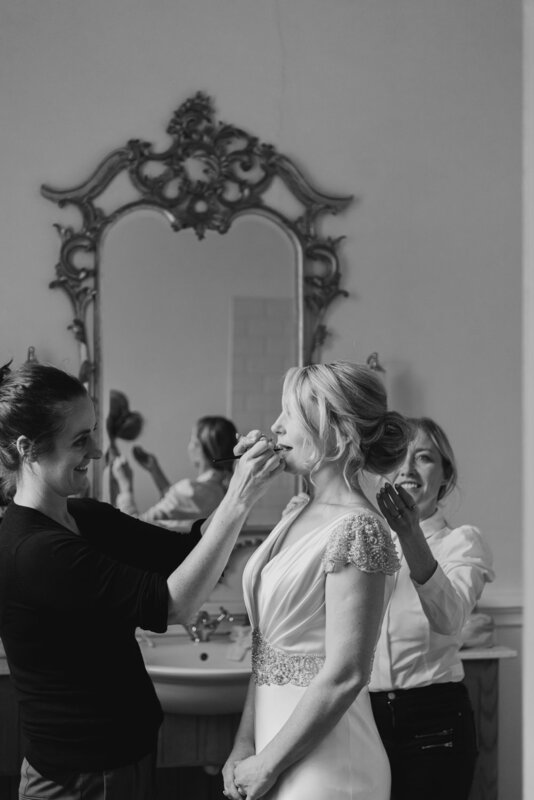 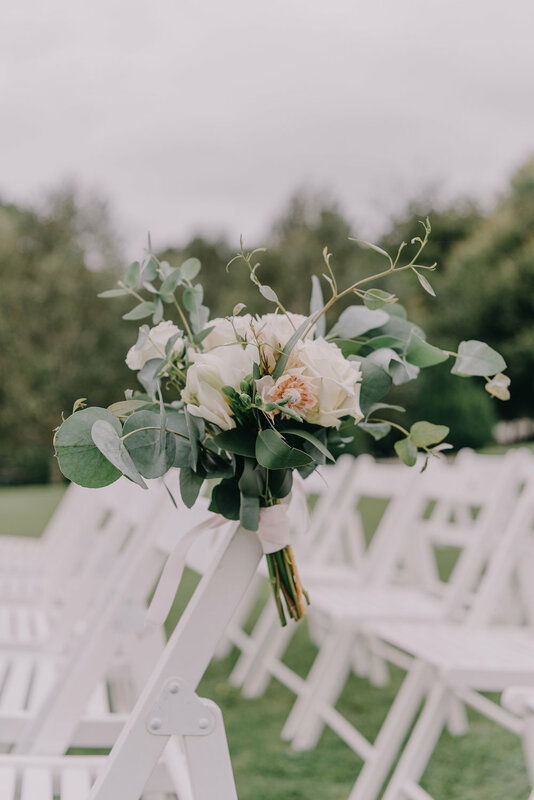 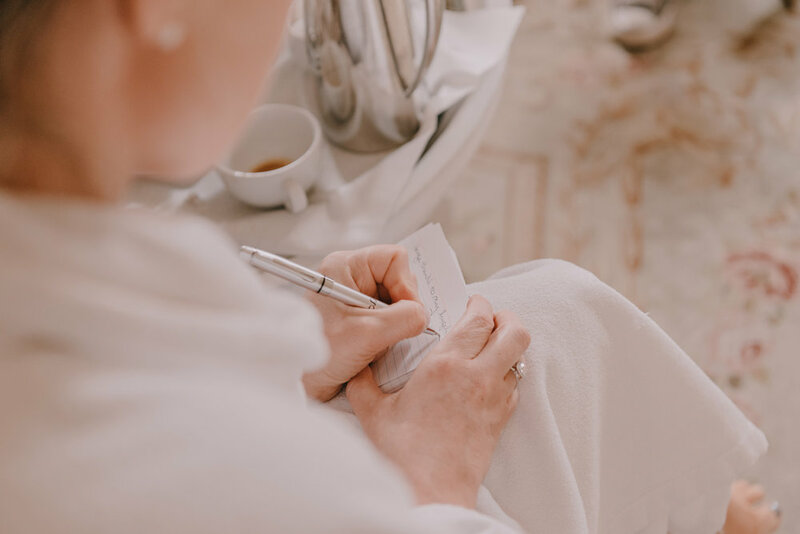 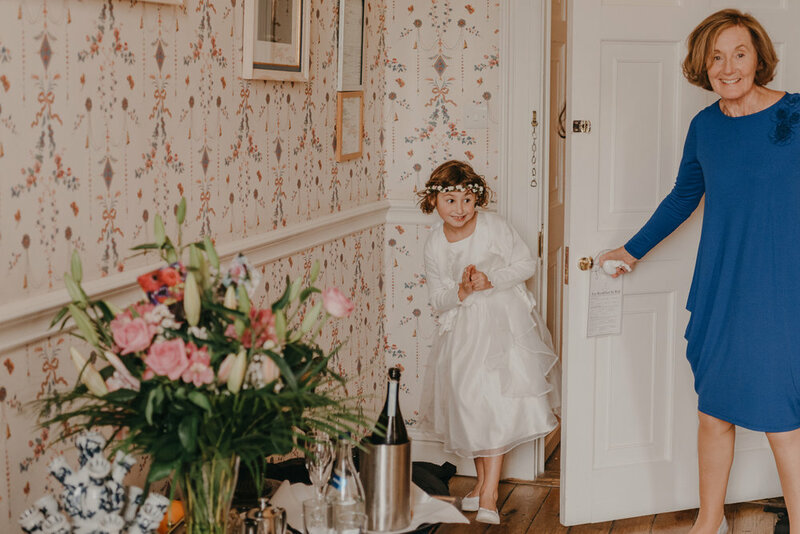 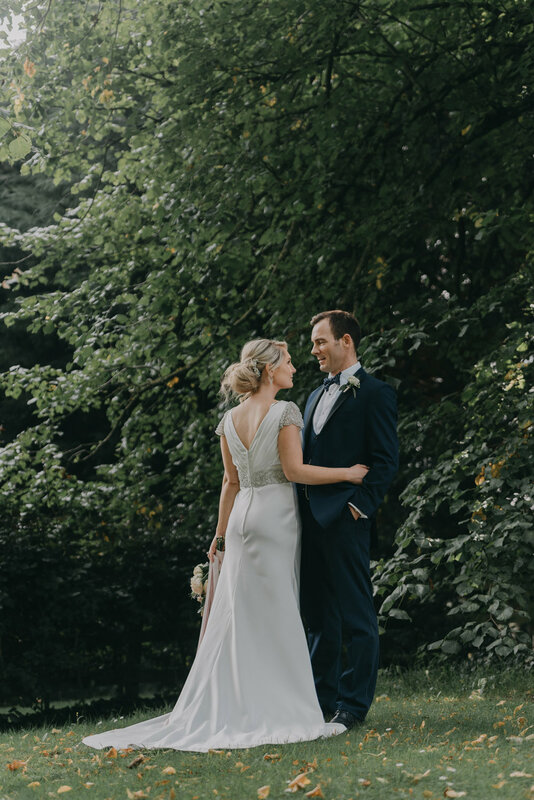 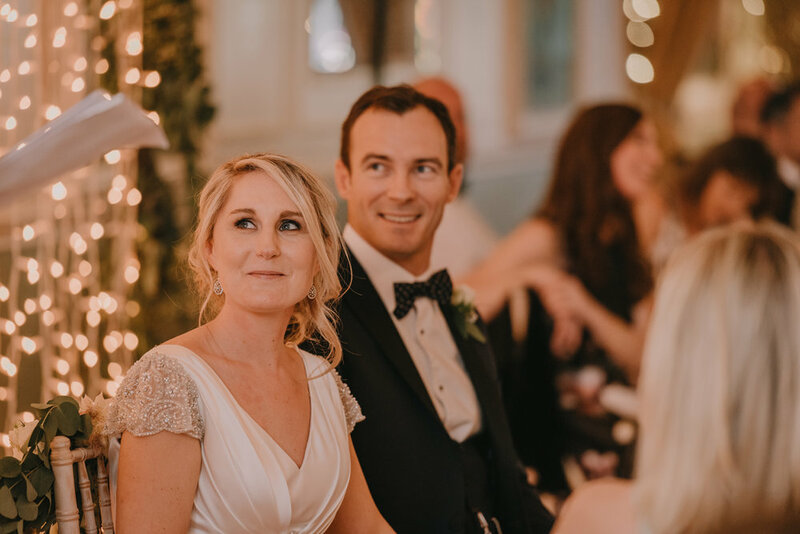 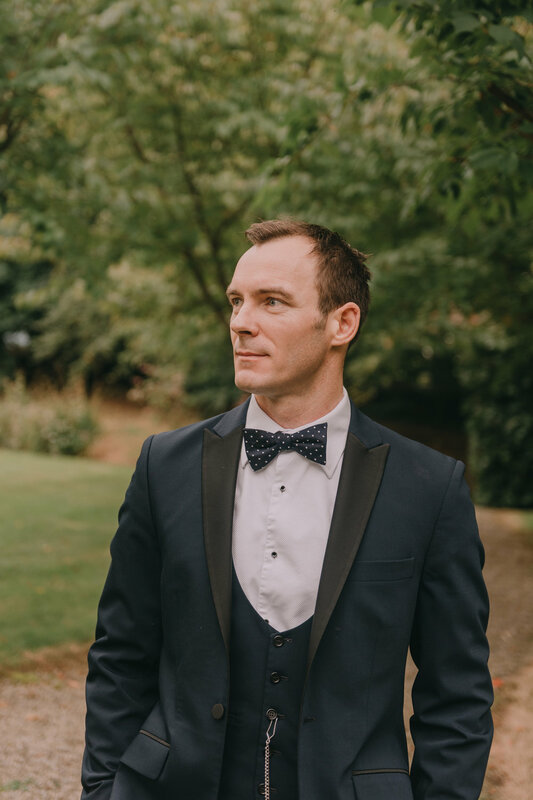 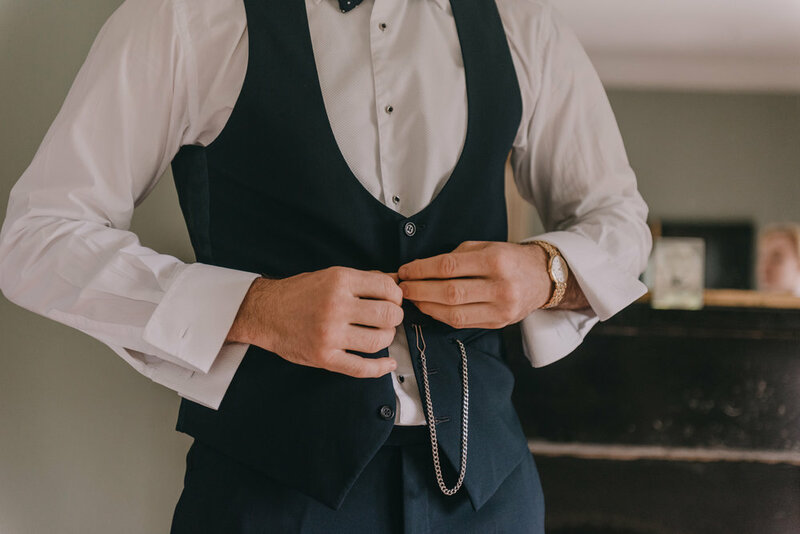 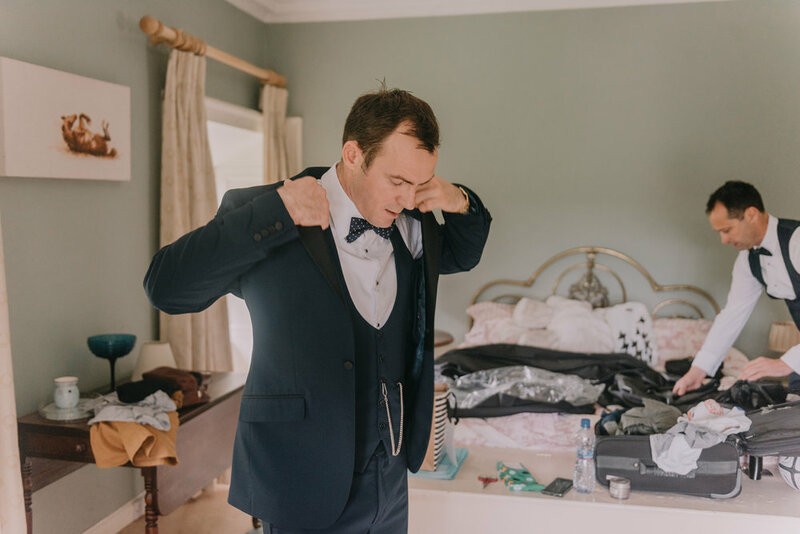 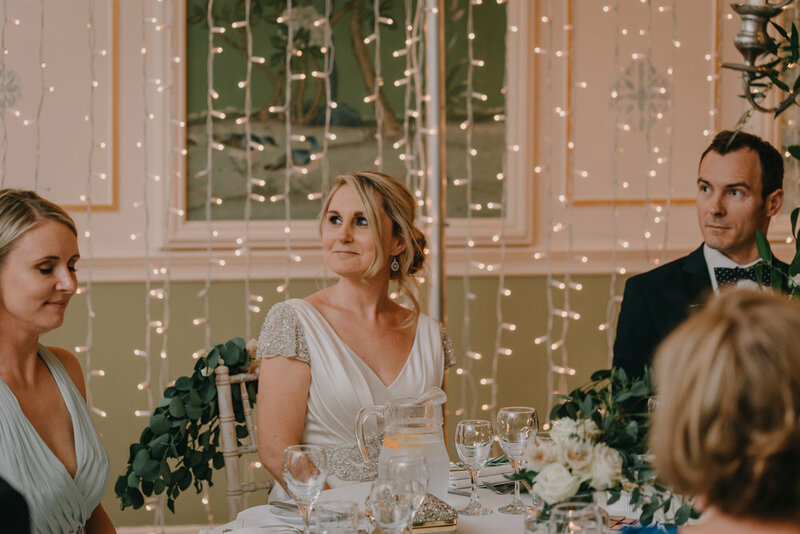 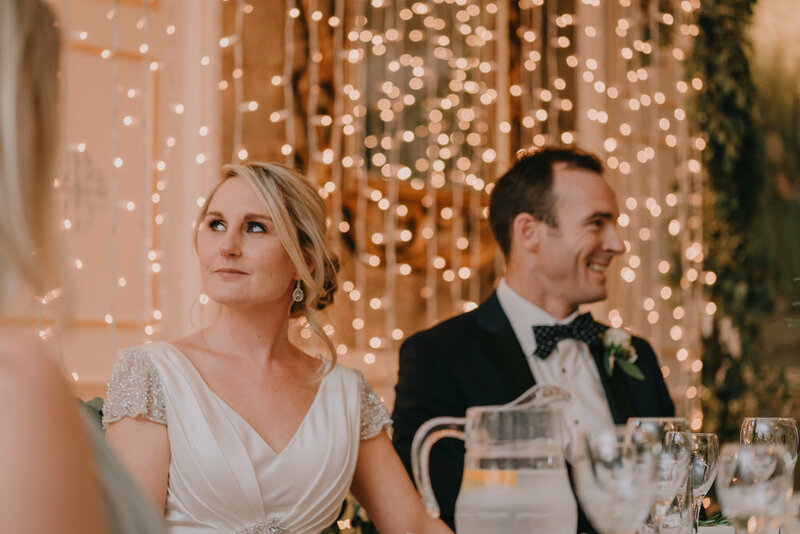 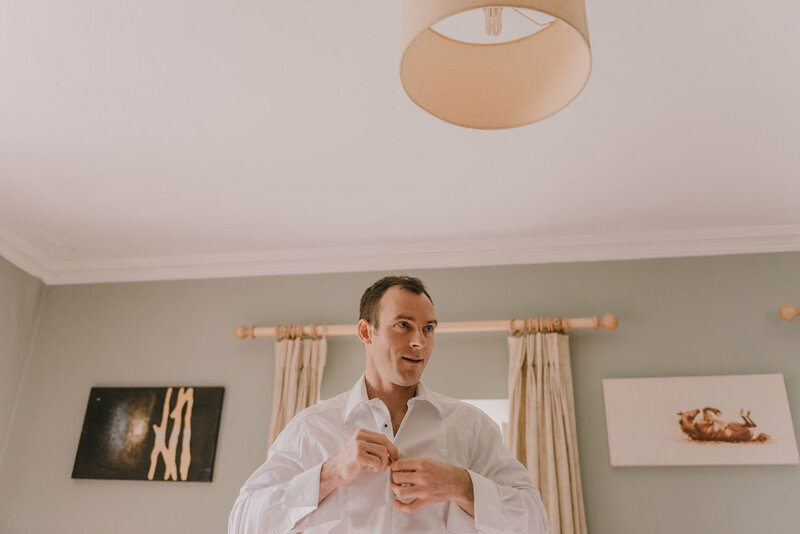 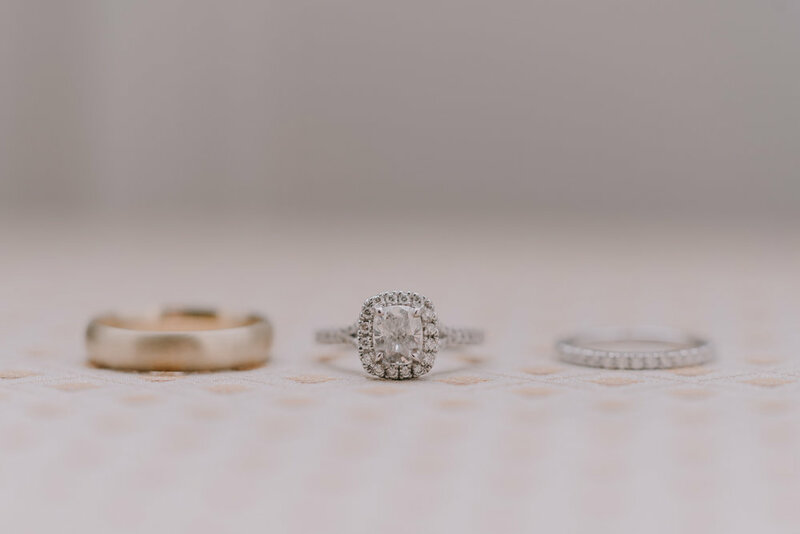 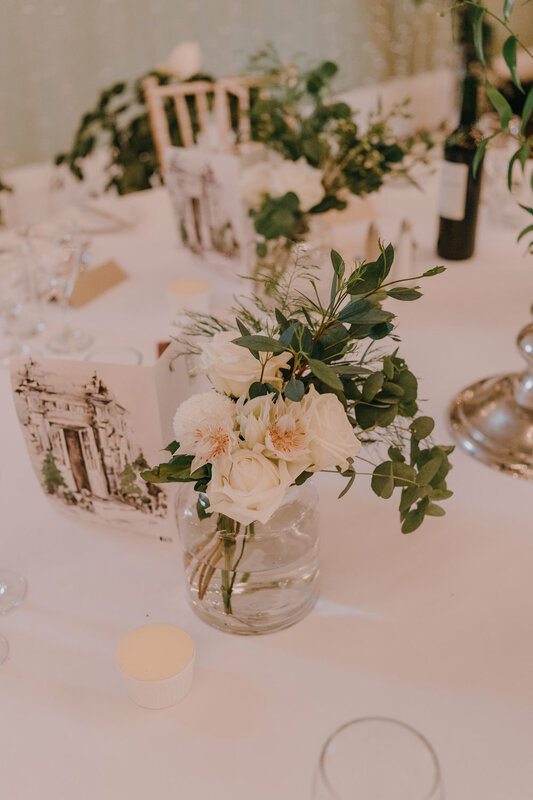 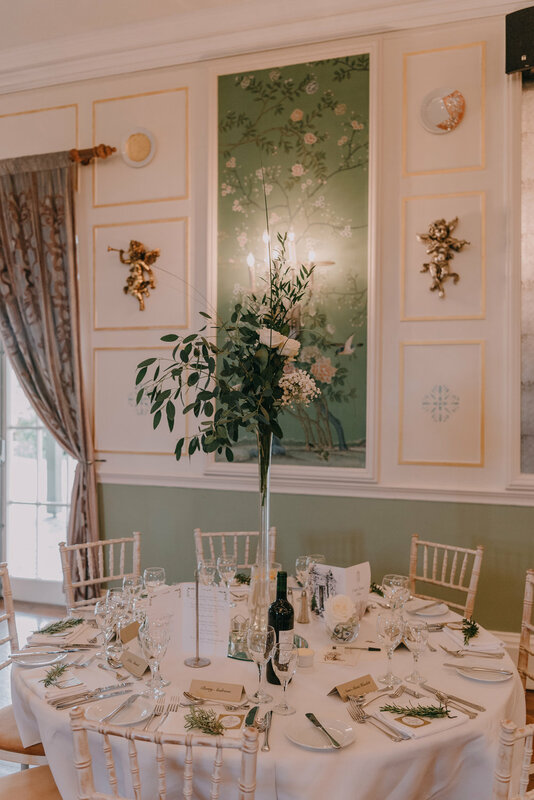 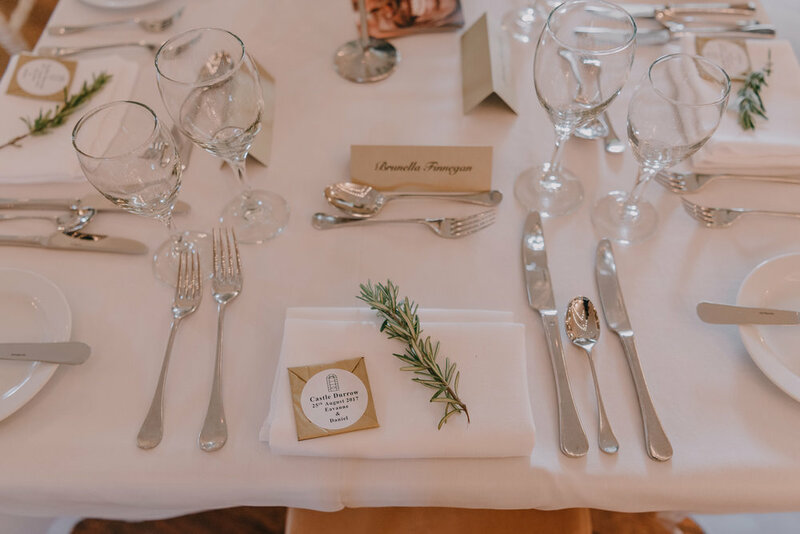 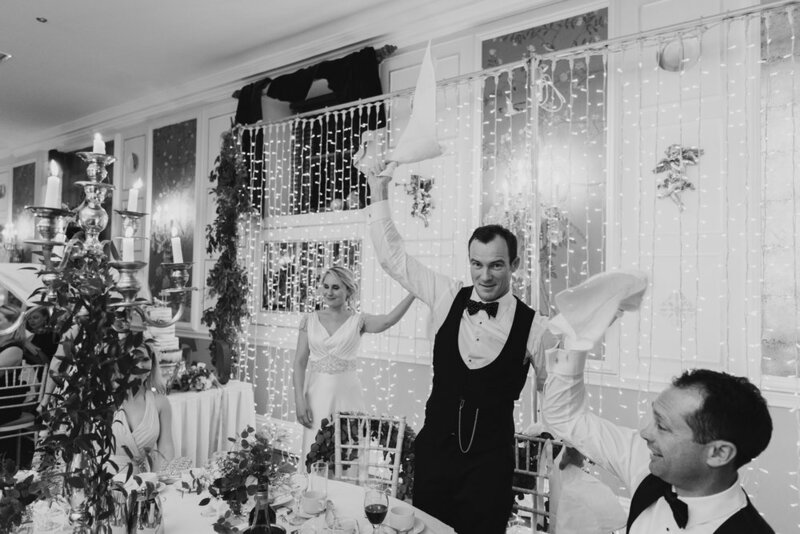 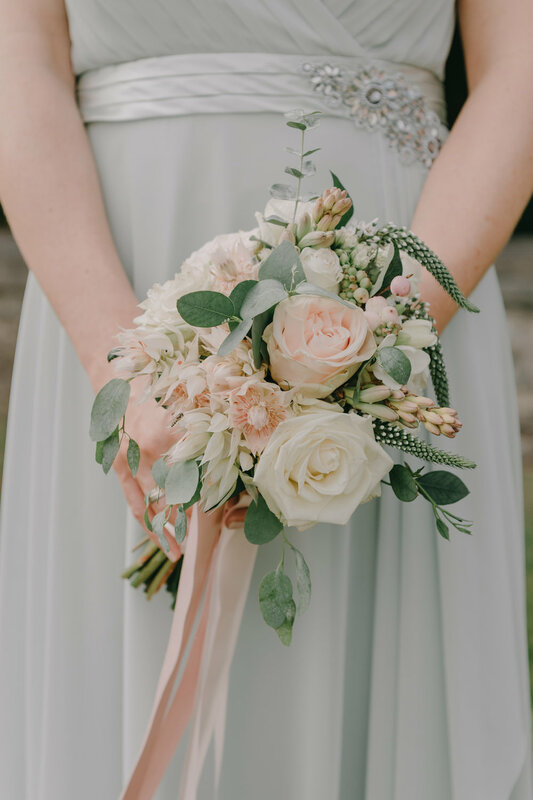 Eavanne who is originally from Ireland had lots of friends and family helping her to get ready in the morning whilst Dan got ready in a rustic country house not far from the Castle with all his family and friends. 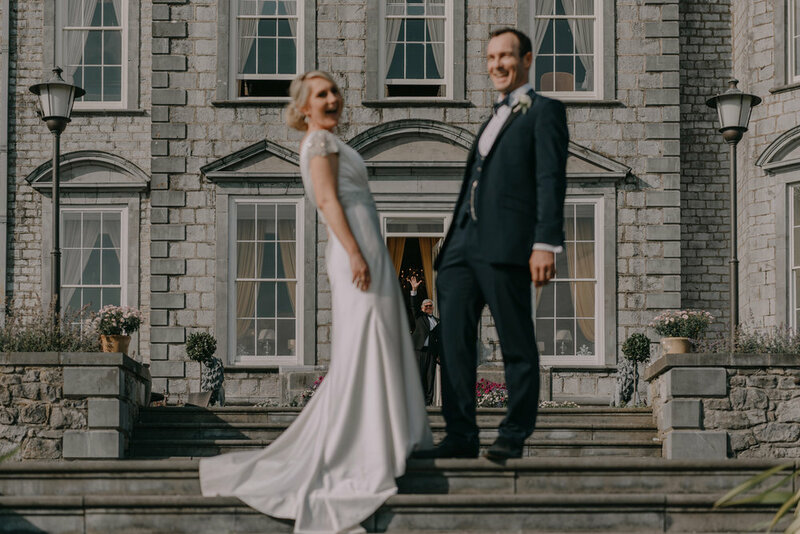 Although there was rain forecast and clouds on the horizon Eavanne's eternal optimism ensured their outdoor ceremony on the lawn went ahead. 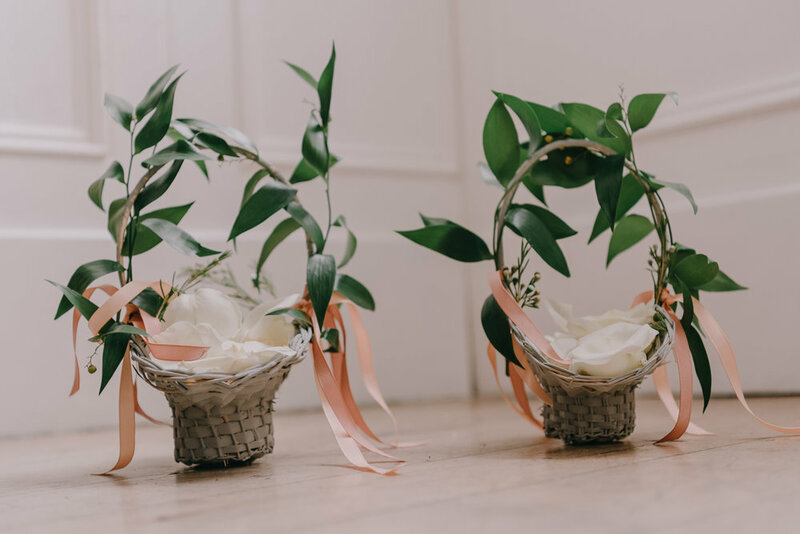 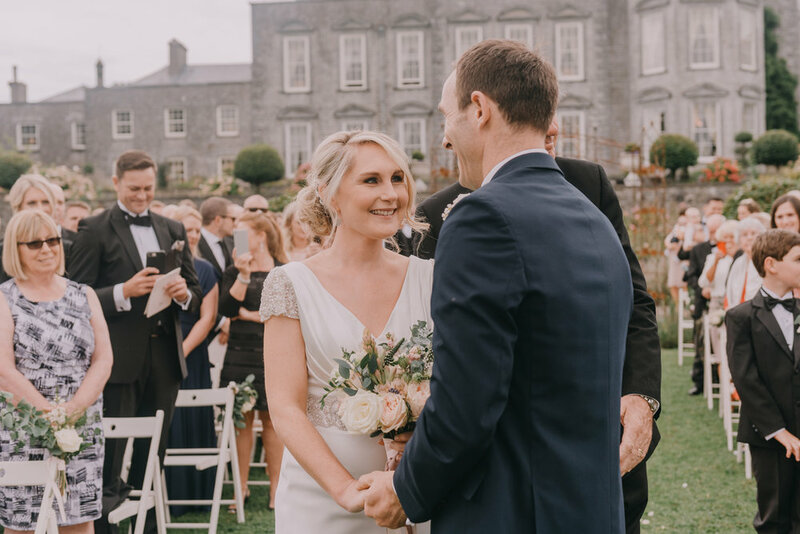 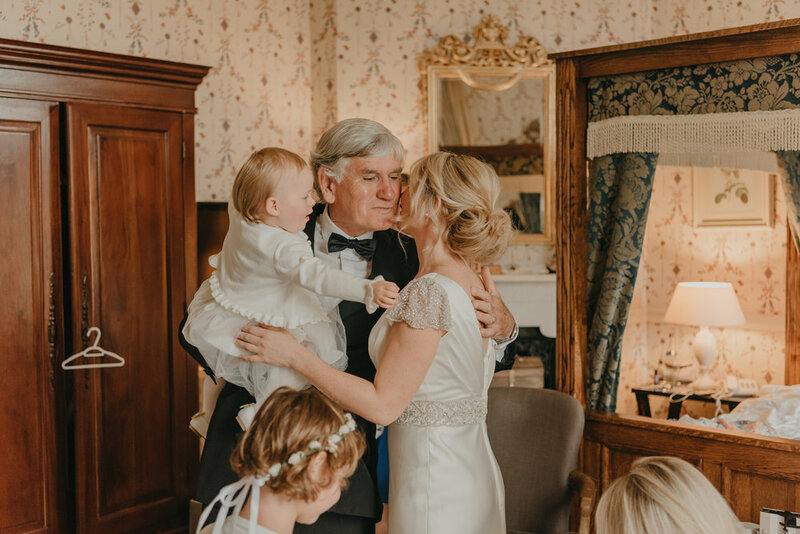 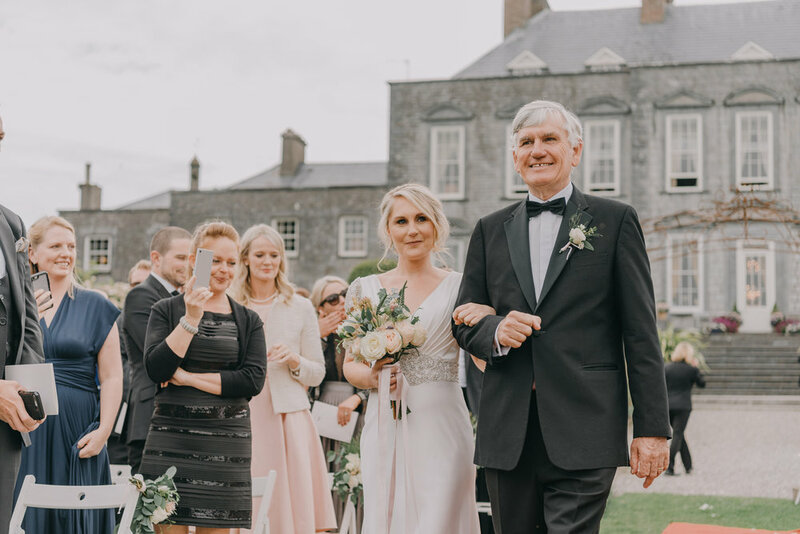 They had an intimate ceremony surrounded by those they love set against the verdant backdrop of Castle Durrow's grounds. 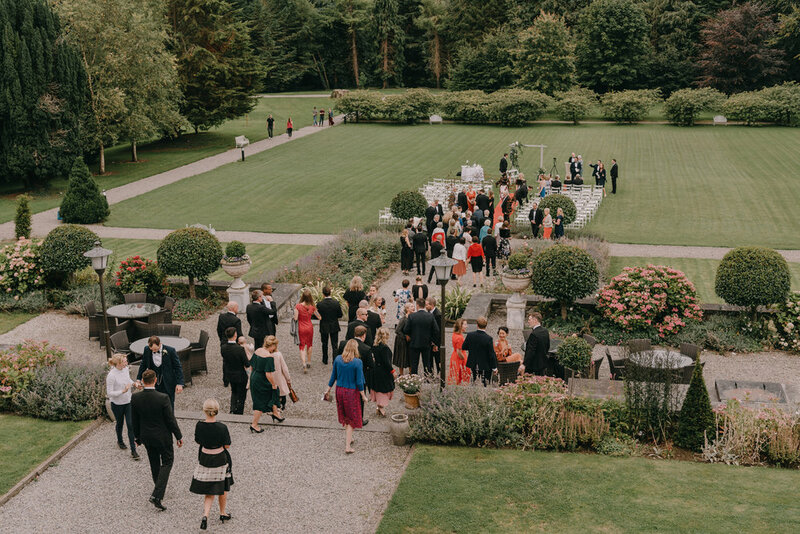 Once the ceremony was over we took a relaxing stroll through the grounds for Eavanne & Dan's couple photographs. 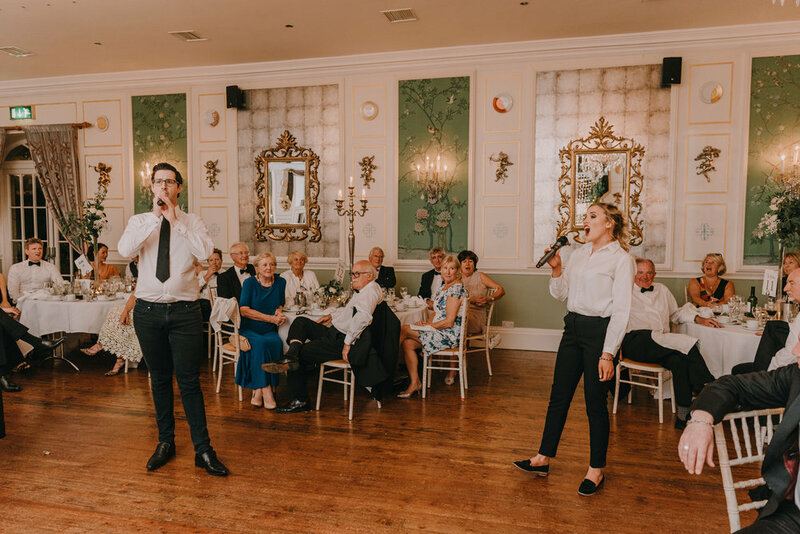 They had a delightful evening of emotional speeches, singing waiters and epic dancing.